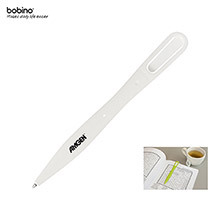 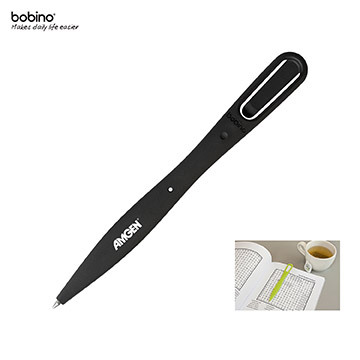 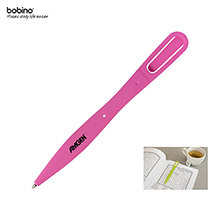 Bobino slim bookmark pen is a nicely shaped bookmark and pen in one. The combination of the slim design, handy clip and high quality pen refill makes it a perfect tool to bookmark any school book, novel, crossword, notebook or paper. And at only 1/8" thick, its ergonomic shape makes for comfortable writing.